Industry Summit 2014 – Come See Us! Every March sees one of the most exciting times in the sports collectible hobby – no, not “March Madness” (even though that’s a lot of fun) – we’re talking about the Industry Summit! We’ll be in Las Vegas from March 16th to 19th! It will be four days where some of the biggest names in the sports card industry get together and discuss both the current state of the hobby and work together to determine its future. We can’t see our room from here, but we think it’s pretty sweet. Tim, Julia, Geoff, Steve, and Sam will be there! 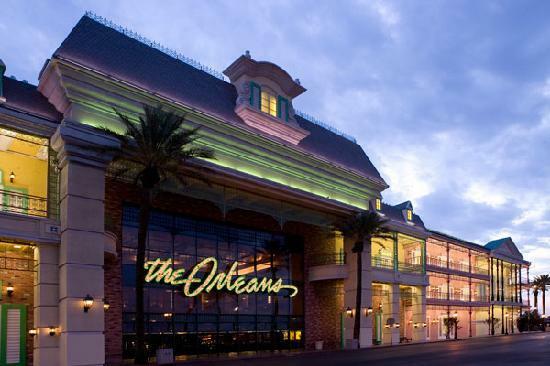 You may even see us at the oyster bar in the Orleans Hotel. Like last year, we’ll be taking submissions at our booth. We’re accepting both Basic and Premium submissions. The clock for Premium Submissions will begin ticking Thursday, 3/20 when we get back. By dropping cards with us, you’ll be able to save money on your shipping costs, as we’ll be transporting the cards back to Redmond for you. Just a reminder, we ask that any submissions come without toploaders or cardsaver holders, and any screwdown or magnetic cases will be processed as Premium. Make sure to prepare your submissions in advance of the Summit by using Submit Items on the Seller Menu on your dashboard. Anyone with a store front who is interested in being one of our Drop-Off/Pick-Up/Kiosk Locations and drops off a business card will be entered into a raffle. We’ll also have giveaways, so come see us! We’ll be demoing our new Drop-Off iPhone app! This will make it easier than ever to submit your cards. Tim will be giving a 15 minute talk the morning of Tuesday, March 18th (time TBD). As in previous years, Tim will be available to chat with you. Just contact us at timewithtim@comc.com – we’ll set up as many appointments as time allows. It’s going to be an amazing four days, and we hope to see you there! This entry was posted in card shows, collecting, Fun, specials, sports cards. Bookmark the permalink.